A sweeping, emotionally riveting novel with over one million copies sold—an enthralling family saga of Africa and America, doctors and patients, exile and home. Marion and Shiva Stone are twin brothers born of a secret union between a beautiful Indian nun and a brash British surgeon. Orphaned by their mother’s death and their father’s disappearance, bound together by a preternatural connection and a shared fascination with medicine, the twins come of age as Ethiopia hovers on the brink of revolution. 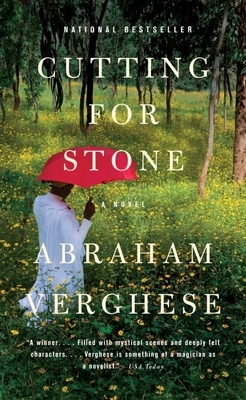 Moving from Addis Ababa to New York City and back again, Cutting for Stone is an unforgettable story of love and betrayal, medicine and ordinary miracles—and two brothers whose fates are forever intertwined. Abraham Verghese is Professor and Vice Chair for the Theory and Practice of Medicine at the Stanford University School of Medicine. The founding director of the Center for Medical Humanities & Ethics at the University of Texas Health Science Center, San Antonio, he is the author of My Own Country, a 1994 National Book Critics Circle Award Finalist and a Time Best Book of the Year; The Tennis Partner, a New York Times Notable Book; and, most recently, the critically acclaimed novel Cutting for Stone, which was a national bestseller. A graduate of the Iowa Writers’ Workshop, his essays and short stories have appeared in The New Yorker, The New York Times, The Atlantic Monthly, Esquire, Granta, The Wall Street Journal, and elsewhere. In 2016 Verghese received a National Humanities Medal from President Obama. He lives in Palo Alto, California.